This podium is adjustable in height and angle to fit most speakers and settings. 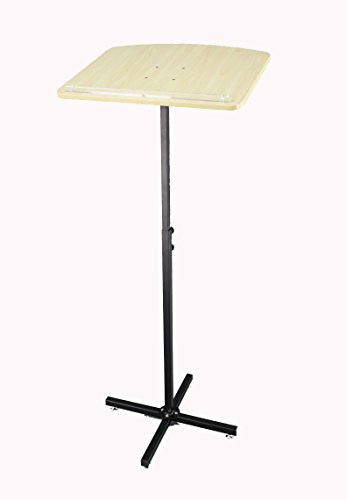 Also work great as a music stand. Maple laminate top is 20" wide 16" deep.Adjustable height is from 36 to 54" tall.Adjustable angle is from 70 to 82 degrees measured from the upright pole. Easy to carry and move around. Overall: 19*19*54" fully extended height.